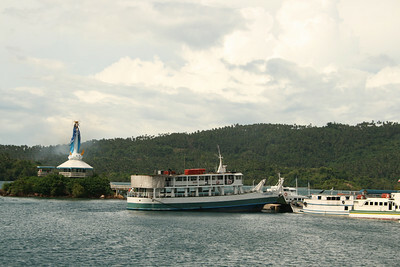 If you're taking your car, you have to be at Dalahican Port in Lucena 2-4 hours before the RoRo ship departure (depending on the time and season). 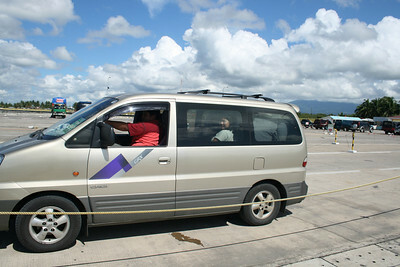 Those in buses need not worry about this because the buses have sure slots in these vessels already. 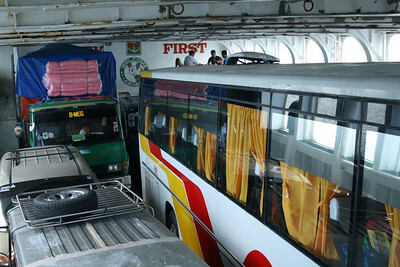 Vehicles taking the RoRo fall in line and shipping people will approach each vehicle for the fees: P2,000 for the usual cars (with two free riders), P200+ for each passenger, P25/person terminal fee and I think another P25/person for insurance). Montenegro Shipping Lines leave Dalahican Port at 12 Noon and 12 midnight every day. 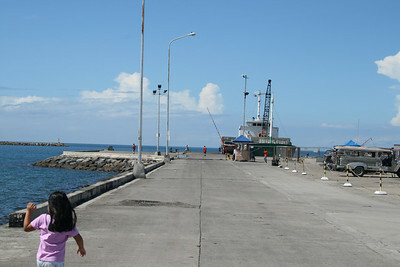 It takes around three hours to get to the port in Mogpog, Marinduque. 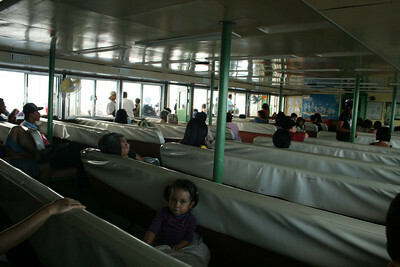 The passenger area in the ship is not air conditioned and there are no special seatings for anyone. Feel free to bring your packed lunch if you'd require something substantial because the store in the ship mainly sells bottled water, softdrinks, Gatorade, biscuits and chips. However, someone asks for food orders as passengers are settling down for the 3-hour journey and the "jolly chicken" is a crowd favorite (it's rice and fried chicken). 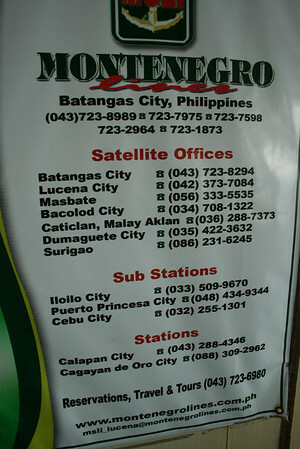 Plus, there are carinderias just outside the port in Mogpog that offer good, cheap fare. Of course, those willing to pay a higher price can take the 45-minute fastcraft ride instead.